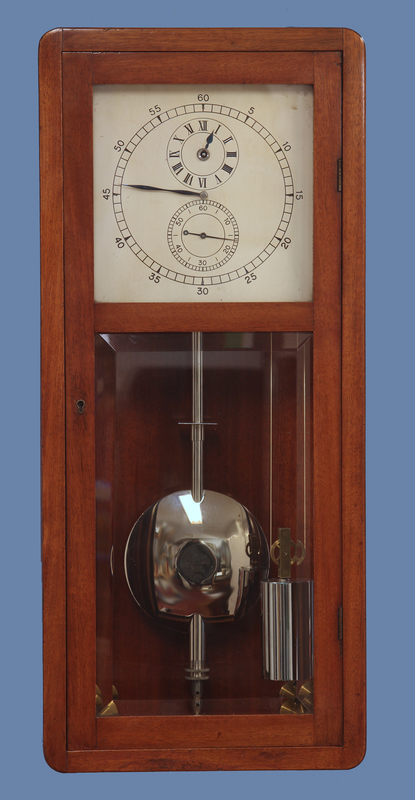 An early 20th century weight-driven wall astroregulator in a glazed mahogany case with a jeweled movement and Riefler pendulum numbered ‘401’. 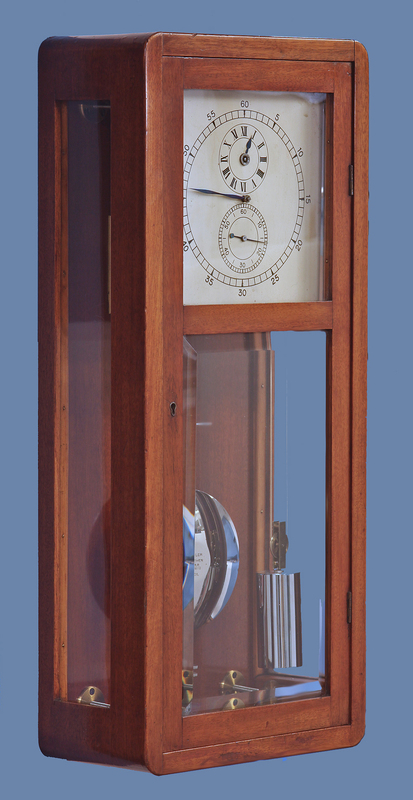 The simple glazed rectilinear mahogany case has flat and beveled glasses to the sides and front door and four screwed wall stabilizers with large knurled edges. 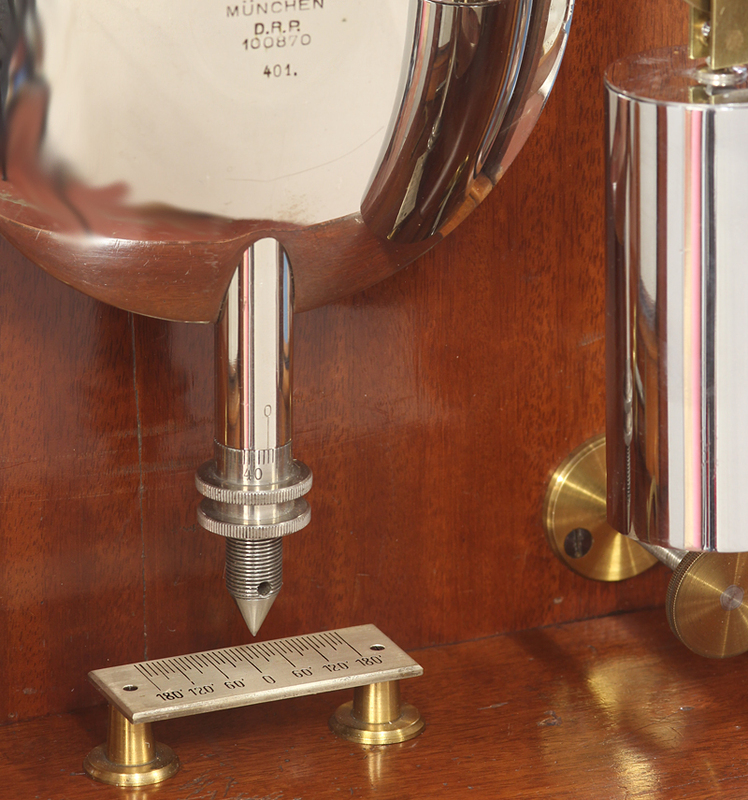 The silvered engraved regulator dial has separate minute, hour and second’s chapters and finely finished blued steel-cut hands. 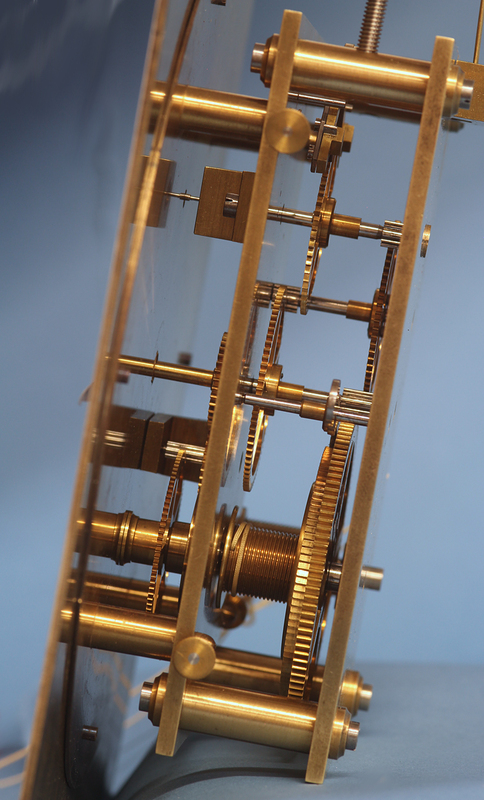 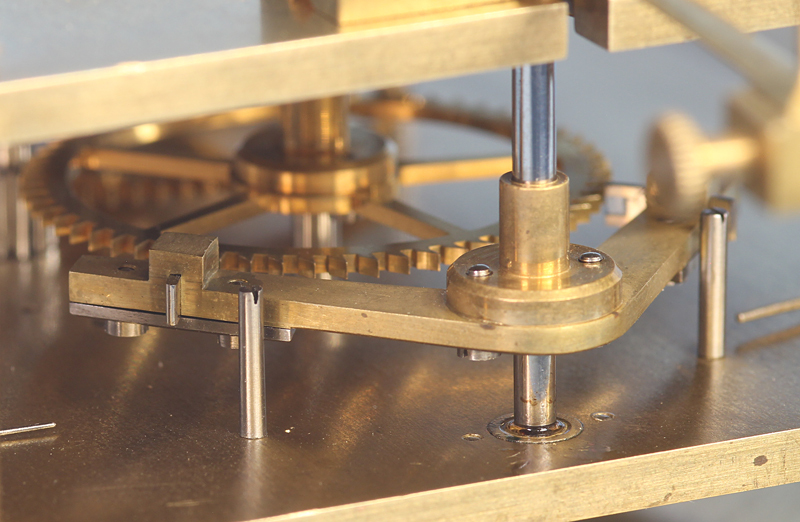 The eight-day weight-driven movement has finely cut wheelwork, an inverted dead-beat escapement with adjustable jeweled pallets, is jeweled front and back, has screwed pillars, maintaining power, a screwed beat adjustment, the minute hand secured by a nut that also serves as a set arbor, the winding arbor in the center of the hour hand and the weight suspended down the side of the case using an auxiliary barrel. 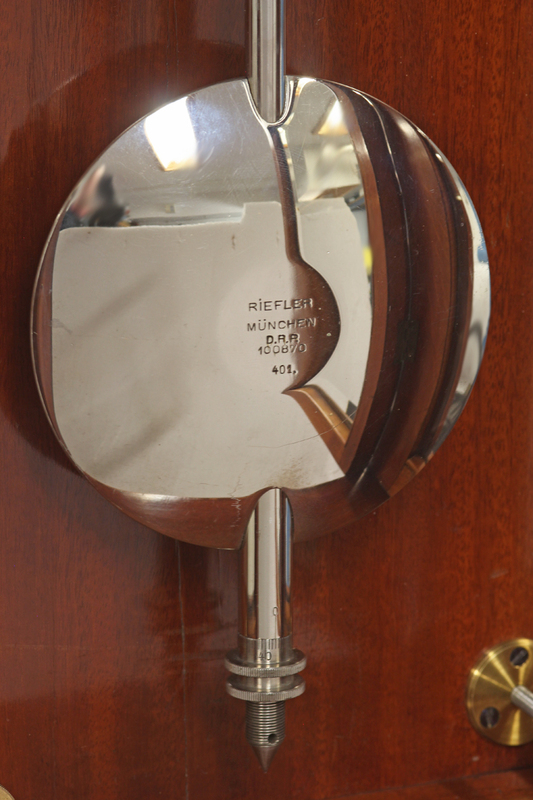 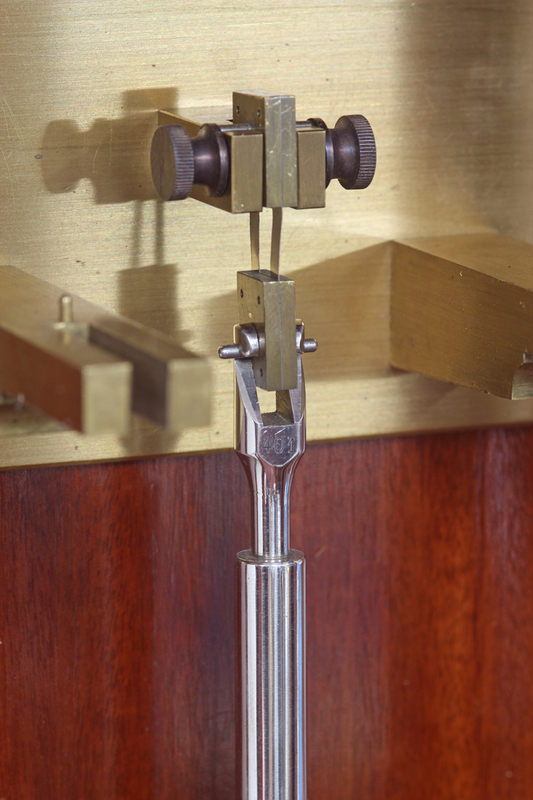 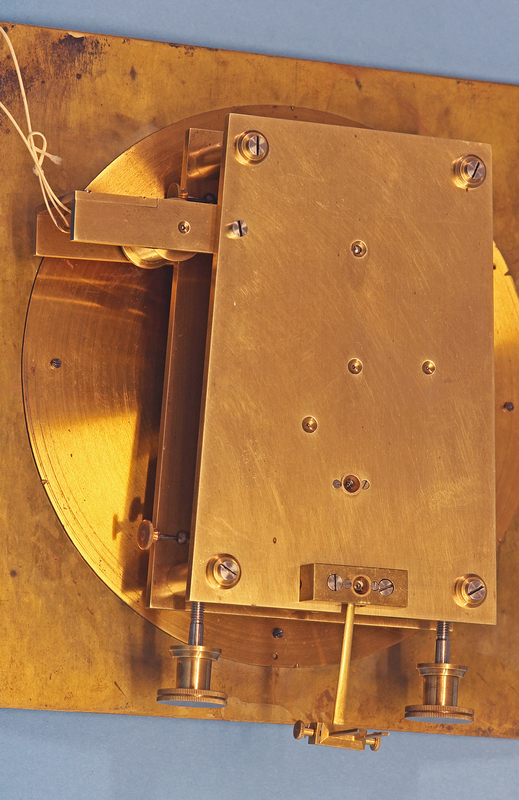 The half-second pendulum is signed, ‘Riefler, Munchen, DRR100870, 401.’, has an Invar rod, the bob suspended from the center, a calibrated rate-adjustment screw with a matching lock nut below, a tray partway up the rod and swings against an independent silvered engraved scale. 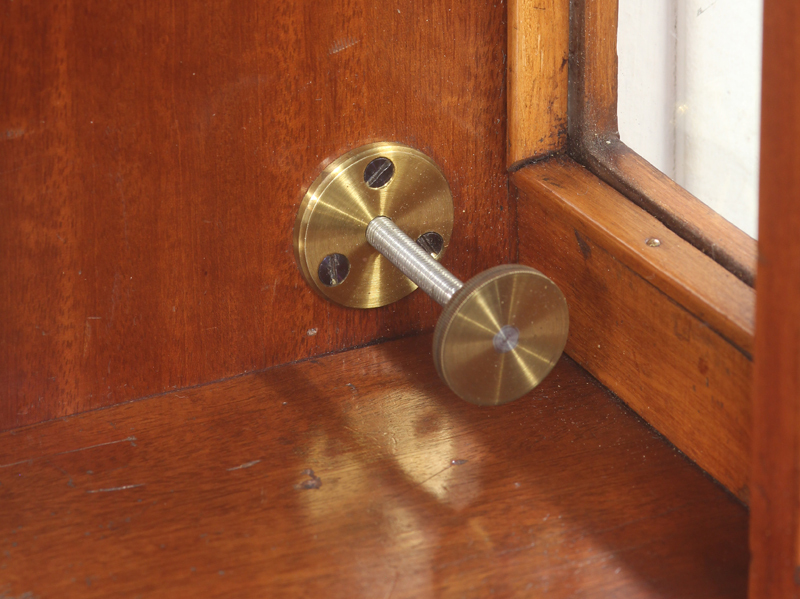 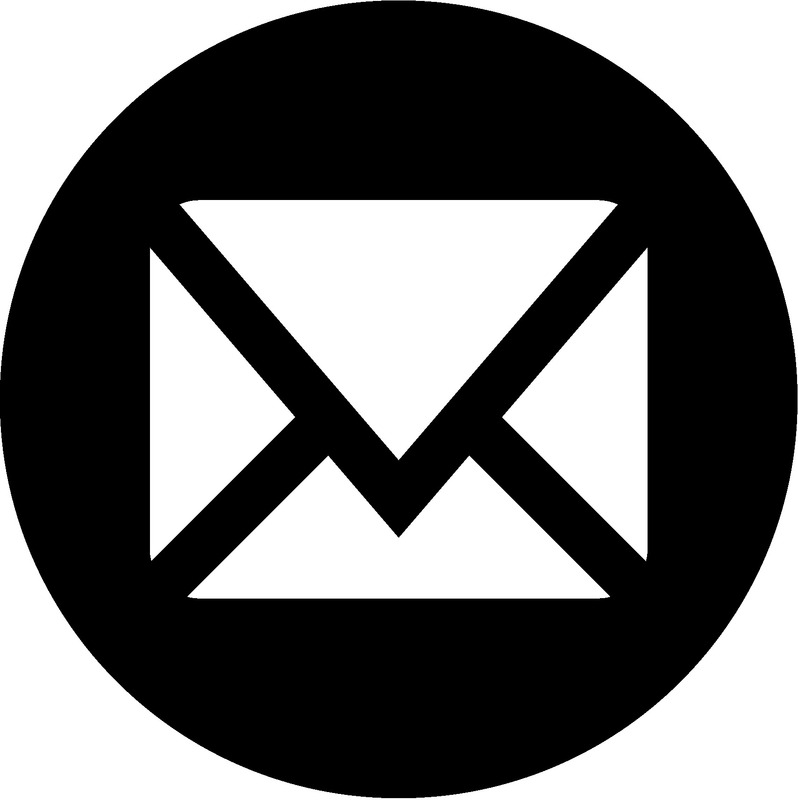 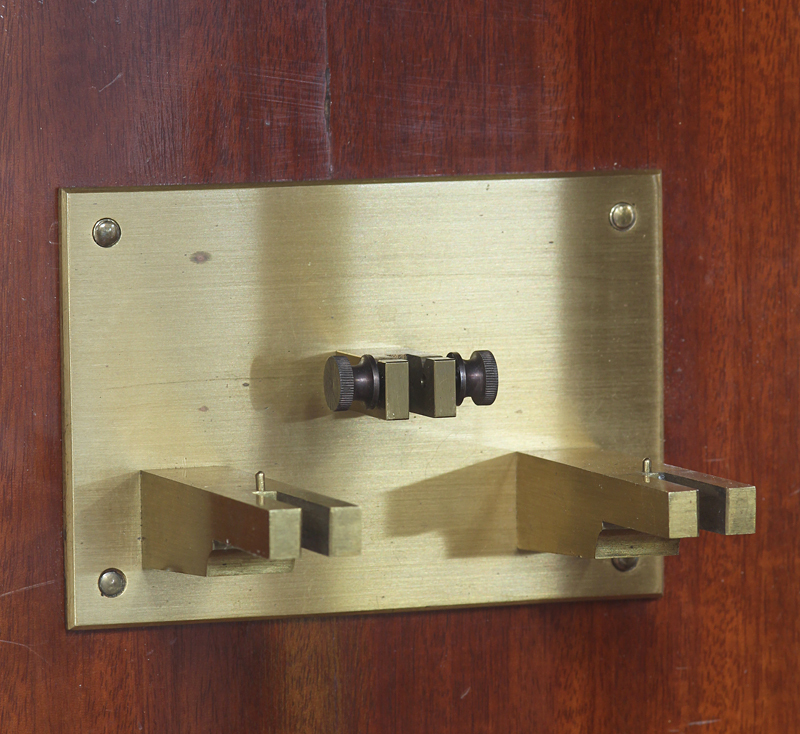 It’s suspended by a steel spring with screwed brass ends and is held in position by knurled screws. 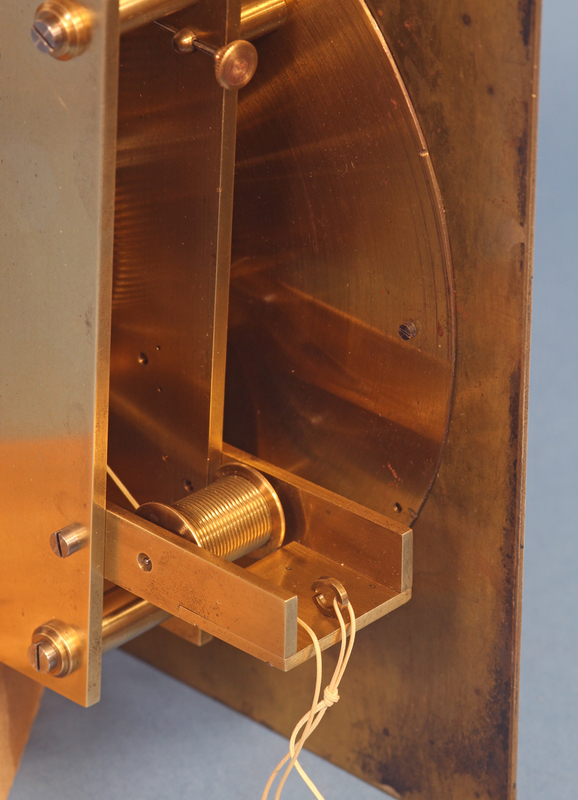 Both the movement and pendulum are suspended from a bracket mounted to the backboard with 4 large screws. 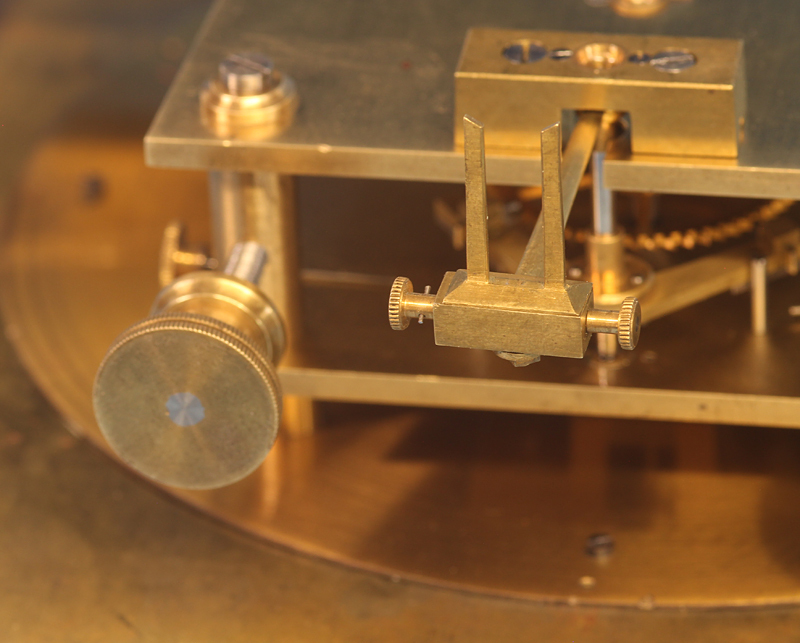 The dial plate has the following written on the backside: ‘IgM 1917/12’. 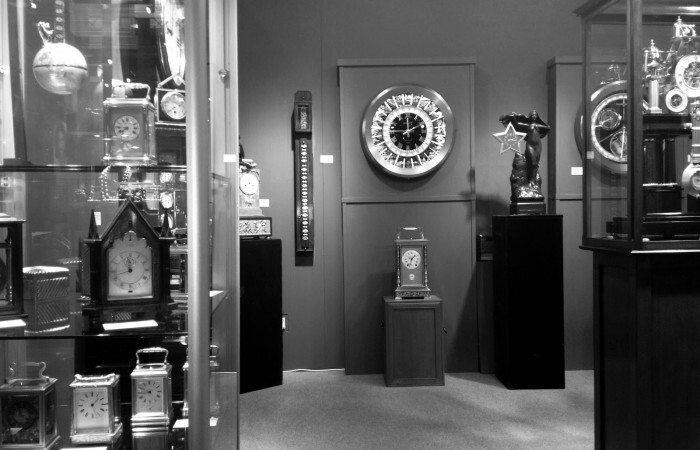 This clock was sold at Christies, New York, Important Pocket Watches and Wristwatches’, June 2005, Lot 45. 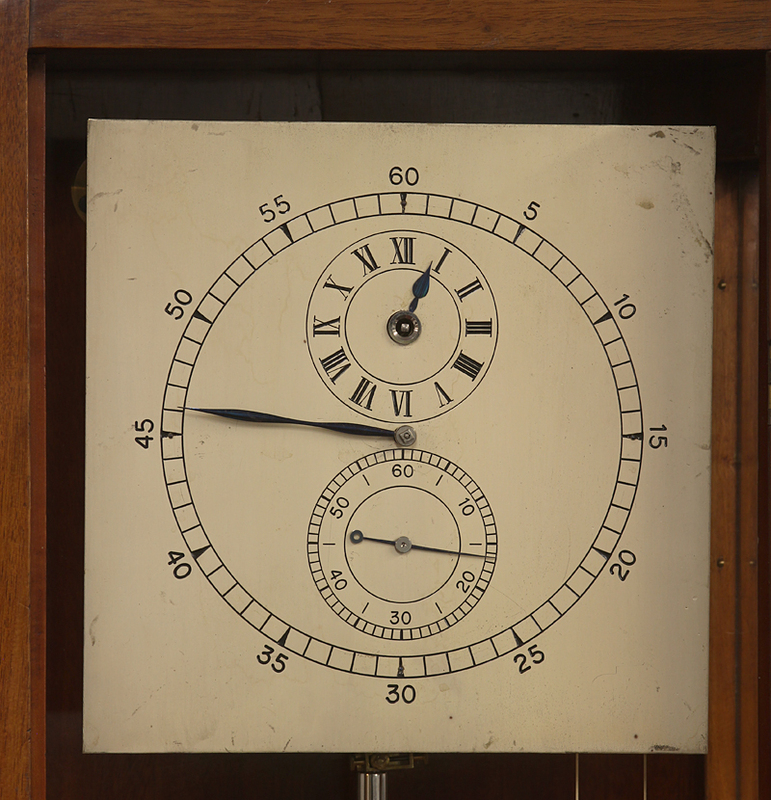 For a similar clock see: ‘Prazisionspenduluhren’ by Erbrich, pg.169.